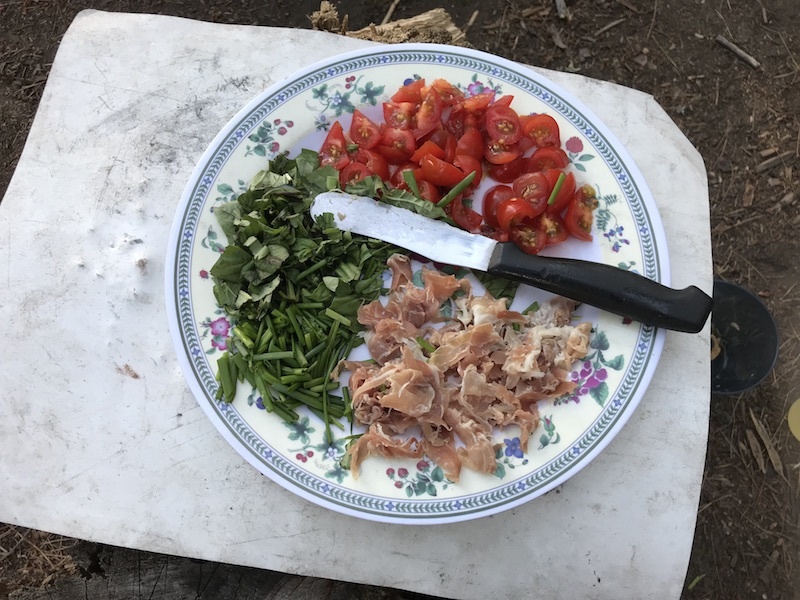 This weeks blog post will be directed to a video from my Camper Christina Cooks Series, Making Prosciutto Basil Tomato Pasta during my trip this summer to Tim Lake. I could write up a post on it as well, but for the cooking videos, it just seems easier to do it by video alone. I hope you enjoy this weeks post. If you would like to say hi, ask a question or leave a comment, please do so and I will reply as soon as I am able to. Thanks so much for checking out my post! If you give it a try, let me know how it goes for you? Cheers! For me , I usually rehydrate my mushrooms in it’s baggie, leaving my cup ready for my drink. Which I have while cooking my meal. Your way works too, but who doesn’t enjoy a refreshing drink. Keep camping,cooking, posting; and I’ll keep camping, cooking and reading your post. HI Donna. 🙂 Nice to see you are commenting now. I rehydrate them in a bag sometimes as well. Depends what I’m putting them in. I have very light stackable cups and usually bring 3 with me, one is always for a beverage. I was planning to heat out paddling after the meal so I was waiting until I was off the water for the night. Have to be responsible when you are out alone especially. Thanks for taking the time to comment and for checking out my post! 🙂 Cheers!